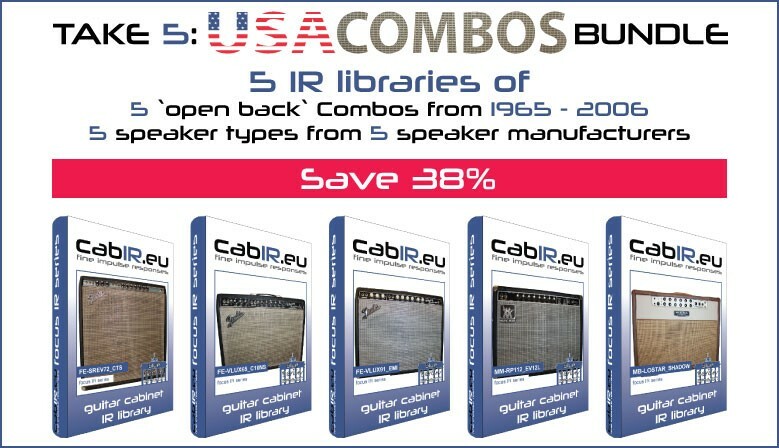 pro IR series of very rare and vintage cabinets. 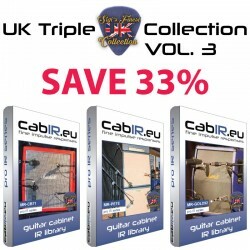 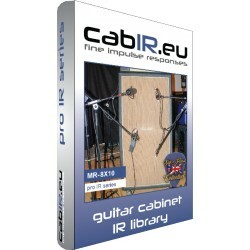 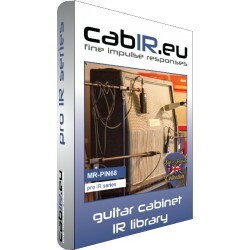 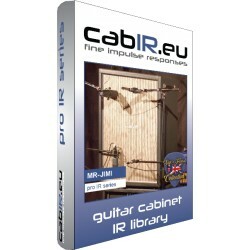 We provide guitar cabinet impulse responses with the highest & most accurate quality available on the market. 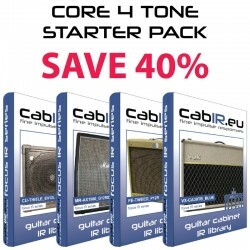 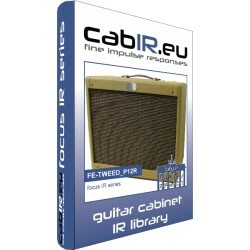 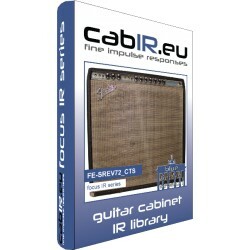 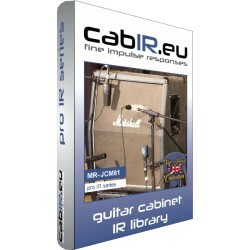 IR libraries of the finest, most rare, and vintage guitar cabinets you’ll find. 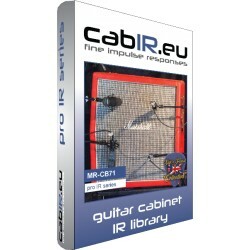 Easy to use, `plug&play` but with all options when needed! 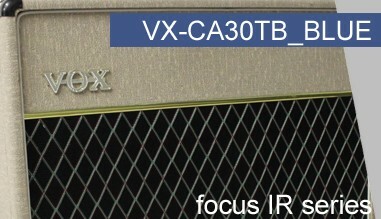 Our speaker impulses give you the speaker cabinet comprehensively in all aspects with a wide range of sound flavours. 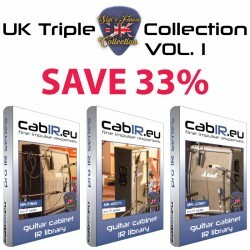 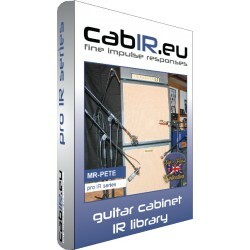 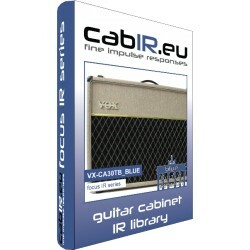 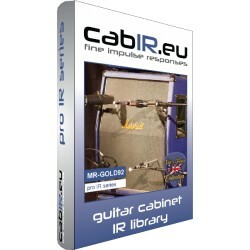 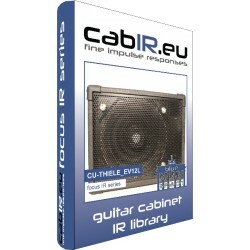 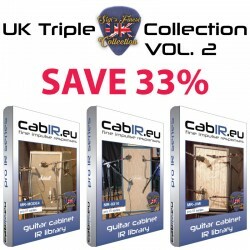 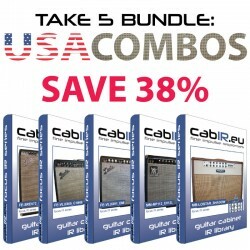 Home of the best guitar speaker cabinet impulse responses available on the market! It`s the Cab, stupid! 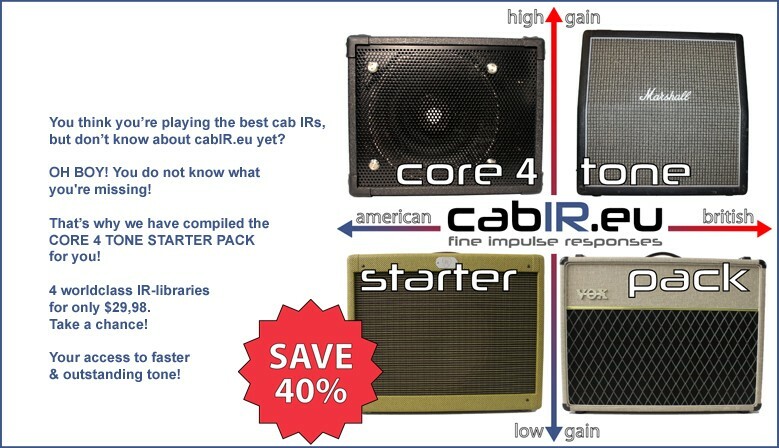 Don`t underrate it! 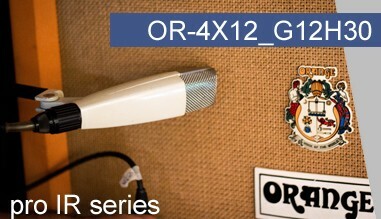 Play & feel the real thing! 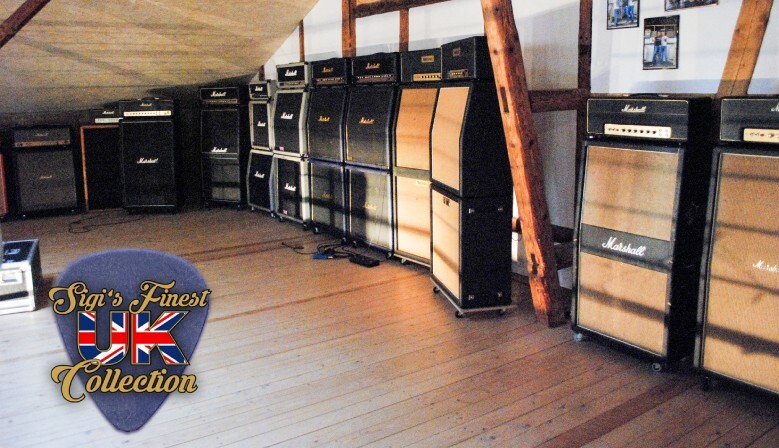 Fractal Audio Systems™ Axe-Fx & AX8, Line6™ Helix, Atomic™ Amplifire, Yamaha™ THR-Serie, Two-Notes™ Torpedo, Kemper™ Profiler, AMT™ Pangaea, Headrush™ Pedalboard. Software Amp-Modeller wie PositiveGrid™ BIAS, IK Multimedia™ Amplitube, Native Instruments™ Guitar Rig, Peavey™ Revalver and many more.